How Many Turkeys are sold on Thanksgiving? The turkey is the traditional highlight of any Thanksgiving meal. Chances are that, when you settle down for the holiday, this big beautiful bird will be the highlight of the dinner. The same goes for countless other American families on this holiday. However, with over 120 million households in the United States, it takes a lot of turkeys to put a roast on every table! 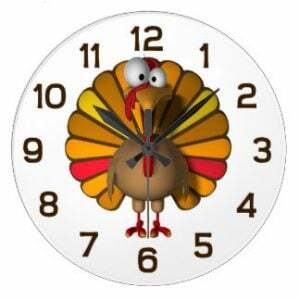 In a survey by the National Turkey Federation, 88 percent of responders said that they have turkey on Thanksgiving. According to the NTF’s official website, over 233 million turkeys were raised in the United States in 2015, and a Nov. 24, 2016, article from the International Business Times states that approximately 46 million turkeys are slaughtered every year in preparation for Thanksgiving. 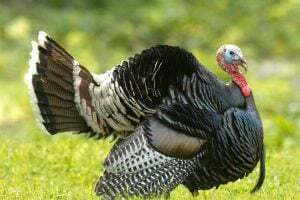 However, the University of Illinois estimates that 46 million turkeys are eaten on Thanksgiving every year, so, fortunately, few of the birds seem to be going to waste. Research conducted by the NTF indicates that the average American consumed 16.7 pounds of turkey in 2016. Even outside of the Thanksgiving holiday, the turkey is a popular choice of protein for its versatility and nutrition. 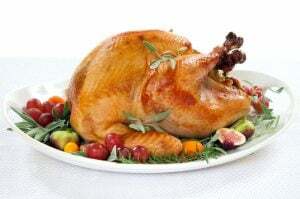 In the poultry industry, it is second in popularity only to chicken and, according to the University of Illinois, about 41 million more turkeys are eaten on Christmas and Easter together. So, evident from the scale of the operation, the turkey industry is a significant contribution to the United States economy. The same list of facts from the university states that the industry employs up to 25,000 people in the country, and according to USDA-funded research on the Agricultural Marketing Resource Center, the United States is the largest producer and exporter of turkeys in the world. This research indicates that the total value of turkey production in 2016 was approximately $6 billion and that the U.S. turkey industry produced almost 7.5 billion pounds of turkey in 2015. That’s a lot of turkey! According to a graph from the NTF, the amount of turkey exported continue to grow over the years until it reached 804.5 million pounds of turkey exported in 2014. Though the graph does show a significant drop in turkey export in 2015, this is not explained. Regardless, turkey popularity has been on a rise. The USDA states that poultry consumption is growing more rapidly than that of beef or pork, and with modern advancements in food convenience and storage, turkey has become all the more popular outside of holiday festivities as lunch meats or pre-cooked packages. With continuing research into health and nutrition, consumers have also started to replace ground red meat with ground turkey, which is lower in fat. And despite the turkey’s popularity in the United States, America isn’t even the biggest turkey consumer in the world. According to the AgMRC, that title goes to the significantly smaller country of Israel. As demand continues to grow and grow, the turkey industry has been eager to try and supply more of these delicious birds. But of course, although the industry that got that perfect Thanksgiving roast to your table may be massive, a good holiday turkey is truly one of a kind.